What does energy usage mean? Regardless of whether you have a bill to hand, you can still compare prices and switch energy supplier. However, it might give you a better quote if you can understand exactly what your usage is, what affects it and how you can lower yours. Because it gives your future energy supplier a better idea of how much of their energy you’ll need across the year. Plus, knowing how much energy you use means that you can start lowering your costs. Energy usage refers to the amount of electricity or gas you use. Typically, the most useful information concerning your energy usage is how much energy you use in a month, or how much you use in a year. For your records, knowing your monthly energy use means that you can see not only how much you’re being charged for that amount, but it can help you understand which months you use more or less energy. Regarding annual usage, this is often what your energy supplier will use to give you an estimated quote. You can use this number to compare against other suppliers, to see which one is most cost-effective for you. Using either your bill or an estimation, you can get a quote in mere minutes. If you don’t have access to your bill, this is an estimation of your energy usage based on the size of your home. ‘Low user’ is usually a one bedroom flat with one or two occupants that aren’t at home during the day. ‘Medium user’ is typically a small family in a semi-detached house, who are at home at various points in the day. ‘High user’ often means a large family living in a detached three bedroom house, usually with five occupants. 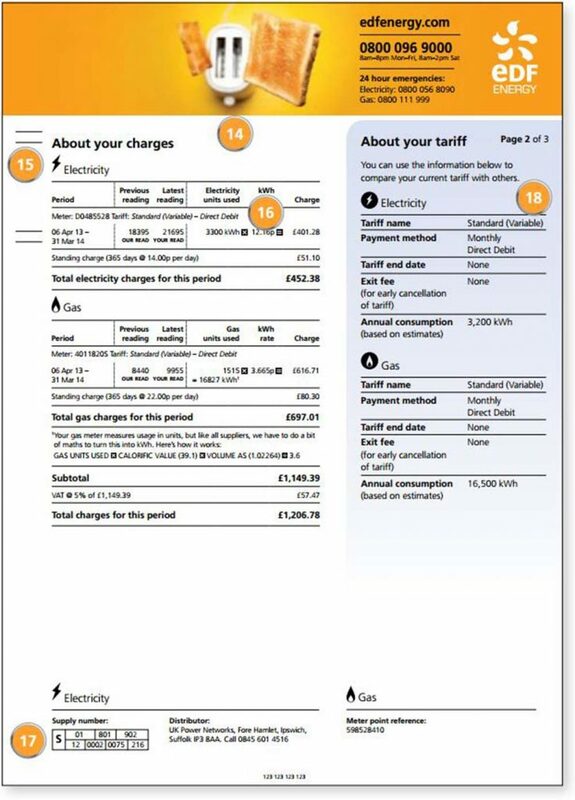 To show you how you can use a bill to understand your usage, let’s take a closer look at your EDF bill. In section 15 and 16 to the left, you can see a period that is approximately a year, in the following columns you can see your meter readings and finally the electricity units used. This implies that this customer is an average or ‘medium’ user. You can use this kWh number to get an accurate energy quote, but if you forget the exact numbers you can say you are a ‘medium user’. This usually isn’t the whole story. That’s where comparison websites come in, helping you to compare all of your available options easily and quickly. Think about what you need most from your supplier, which could be value for money, customer satisfaction or even based on the extra services that they offer, such as the British Gas boiler care. Finally, you can then use a switching site to compare tariffs and energy suppliers to see which would be best for you. Having a well-insulated house means that you don’t have to spend as much money on your heating, meaning you could have some real savings on your energy costs. 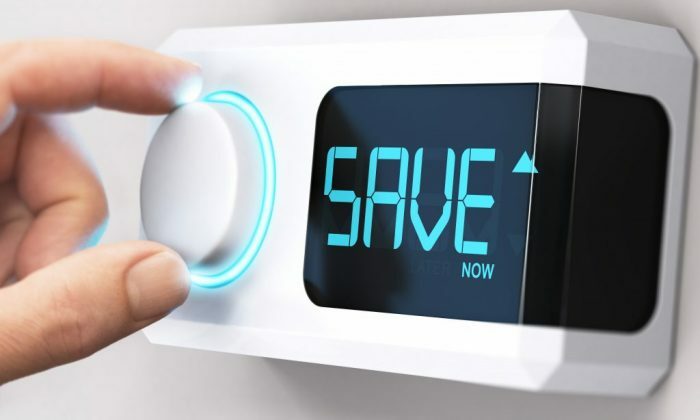 Lowering your heating by even 1 degree could save you up to £60 a year! For example, if you’re using a large pan to heat a small meal you could be wasting energy unnecessarily. Once you have finished cooking your dinner, why not open your oven and let the heat from inside heat your kitchen? Unplugging your devices such as your TV, phone chargers and computer could give you some great savings. There are some grants and initiatives available that mean that you could be getting cavity insulation for free, which could save you up to £100 a year. Do you know your energy usage, and you’re looking to switch suppliers?